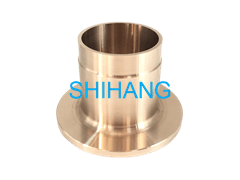 composite weld neck flange is made of inner flange , also called collar & backing flange (loose flange).The collar is welded with copper nickel pipes , the backing flange can be active. Collar is the sealing surface, the role of the backing flange is to press them. 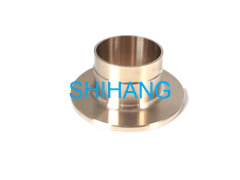 Because of collar is blocked, backing flange does not contact with the media. This flange connections are applied, in low-pressure and non critical applications, and is a cheap method of flanging , normally used in shipment.